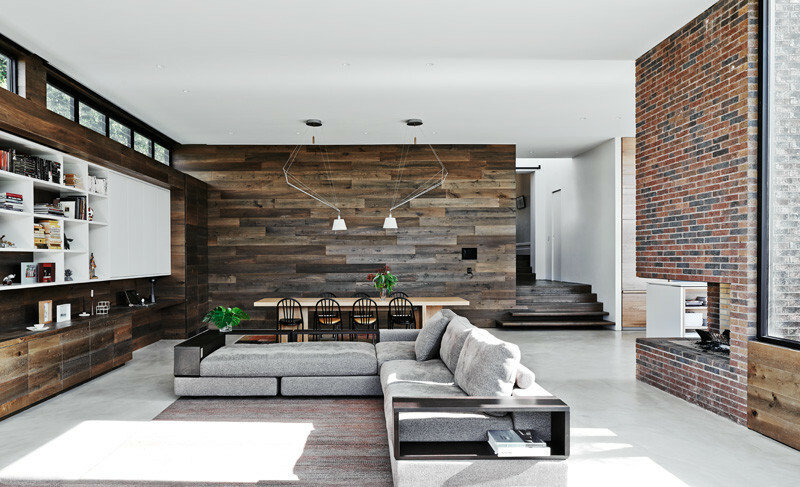 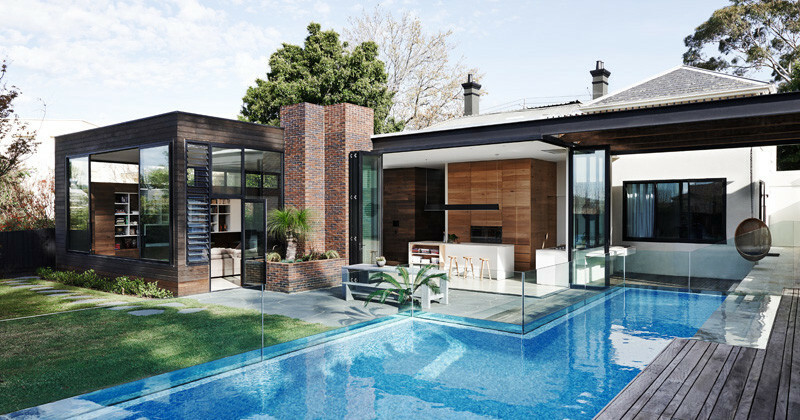 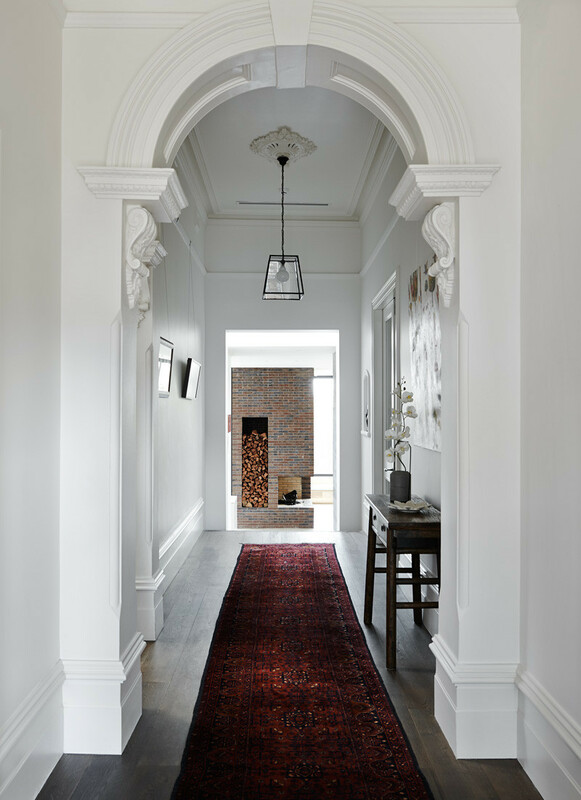 Australian architecture and interior design firm Robson Rak, have completed the transformation of a tired Victorian residence, by adding a new addition and updating the interiors. 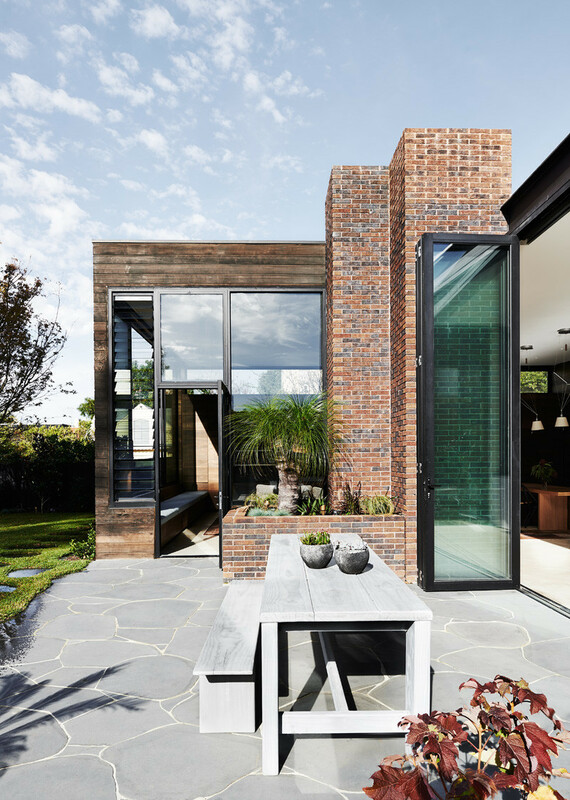 The clients’ initial request was for a scheme which would see new rear living spaces opening to the outside, and to have the new spaces fuse seamlessly with the older part of the home. 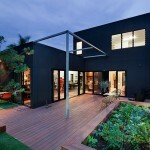 Entering the home, you’re greeted by a timber floor directing you to the new rear extension. 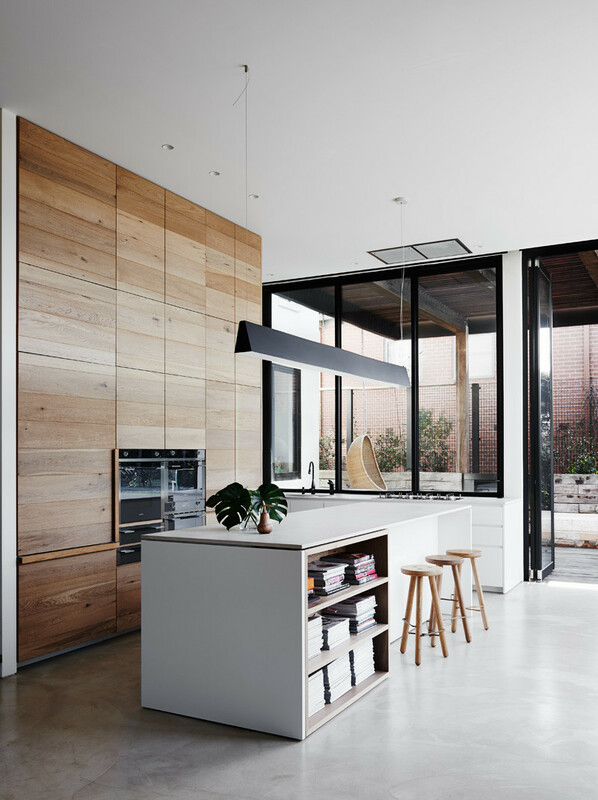 A large skylight allows light to beam down upon this transitional space. 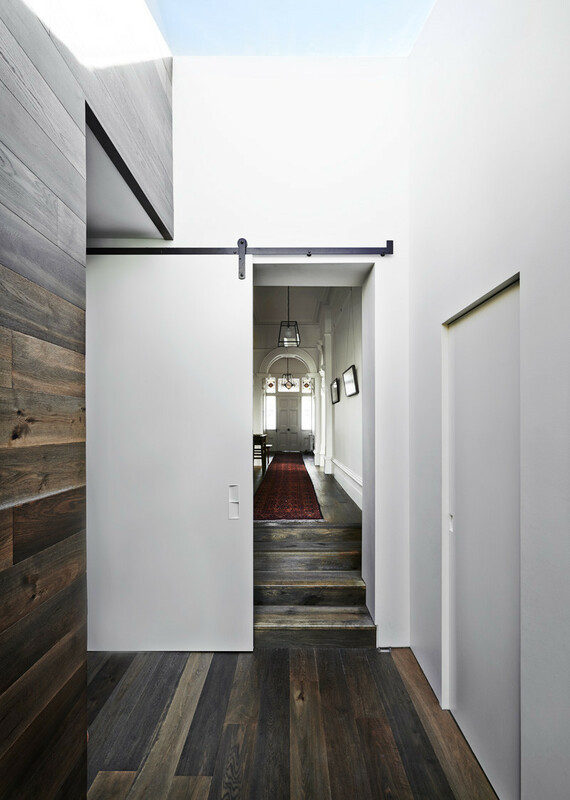 Stepping down from the entry hallway, you’re welcomed to a large open floor plan. 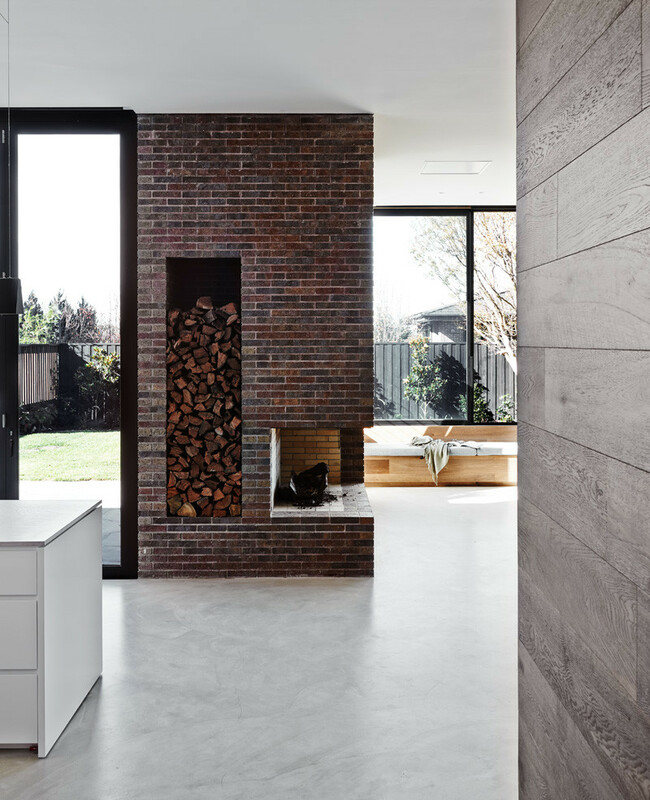 A new brick fireplace has been designed to be viewed as you enter the original residence, and acts as the central axis for the new areas. 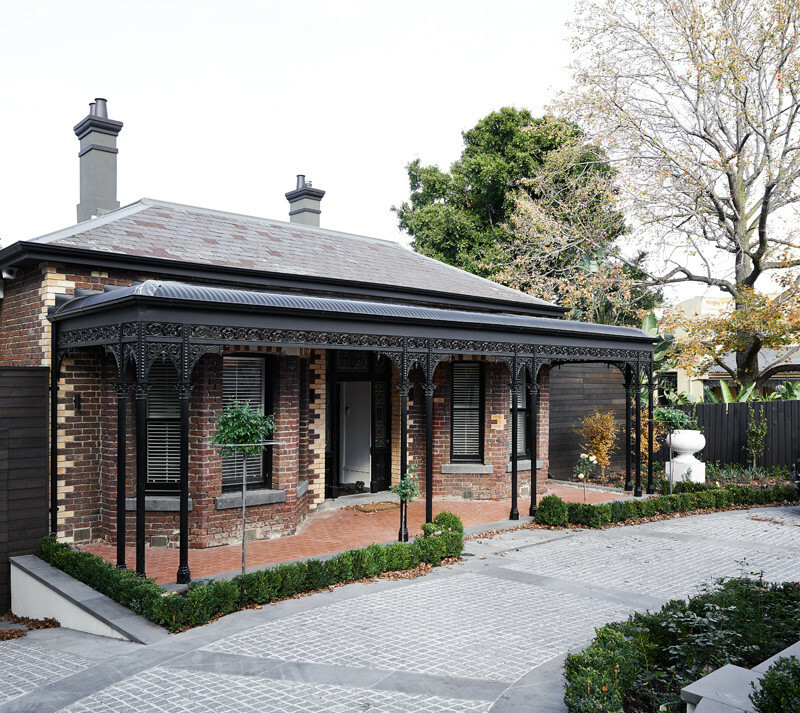 The use of brick links back to the original heritage facade. 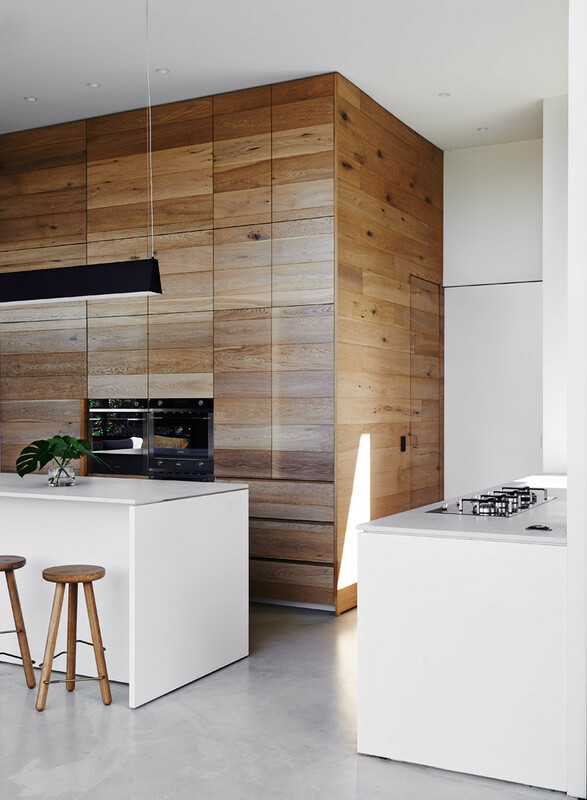 Concrete flooring has been used throughout the new extension, and timber flooring has been used on the walls. 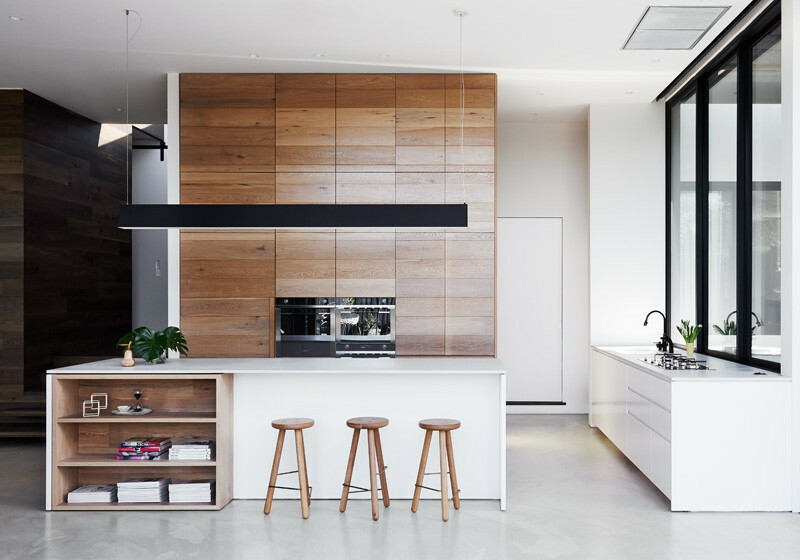 The kitchen area is defined by the use of light oak joinery and a pale reconstituted stone has been used for the benchtop. 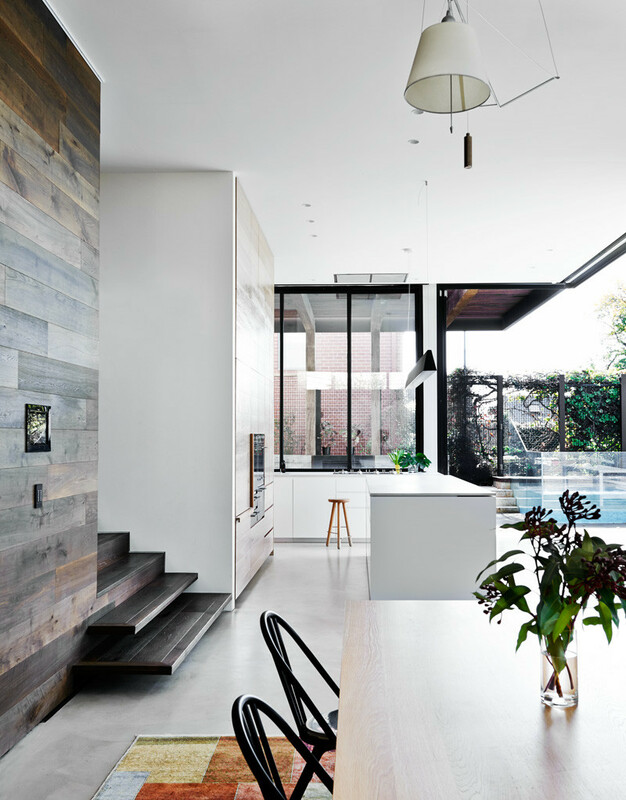 A custom pendant light above the kitchen island was designed by Robson Rak. 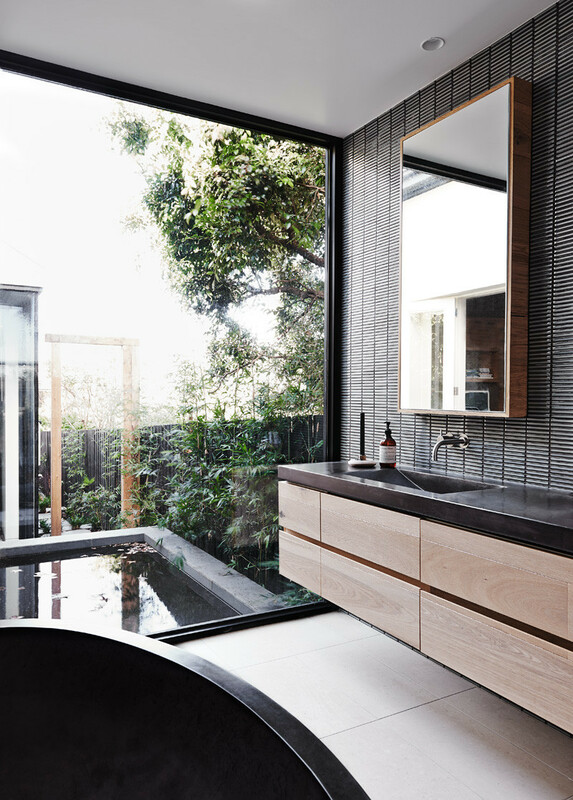 Within the extension is also a powder room with another skylight. 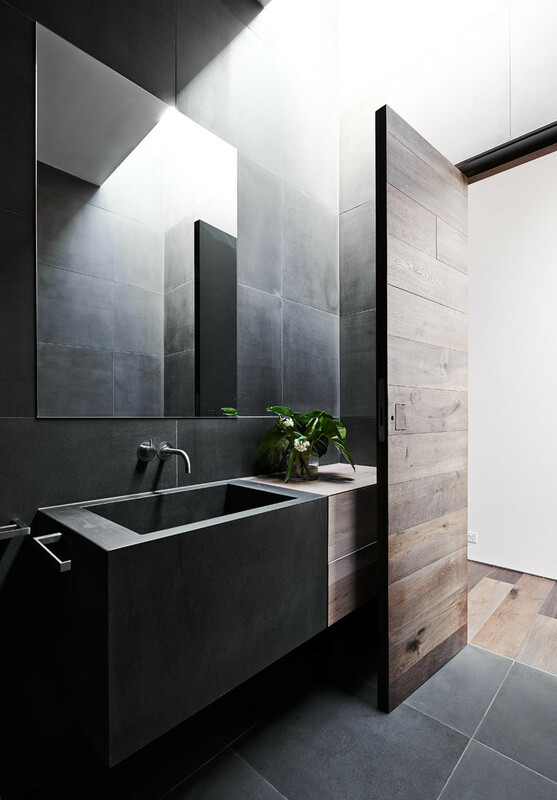 The powder room floor, wall and basin are all formed out of bluestone. 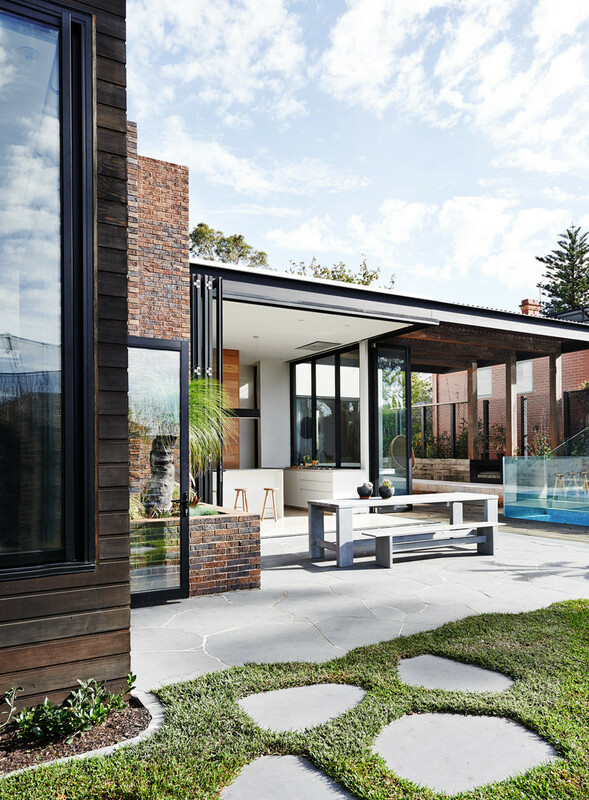 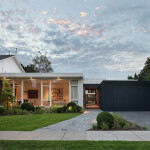 Full-height bi-fold doors open up allowing for complete integration to the outside.